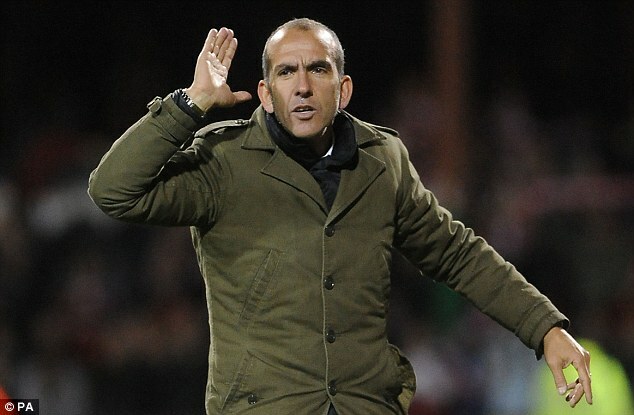 It seems the press have tried to spin Paolo Di Canio’s post-match gesturing to both sets of fans, as him suggesting Villa were getting relegated. When you look at the incident again on the below video, it’s certainly not the case. At worst, he just thinks his fans were better on the night than Villa’s. ‘I was saying to my fans that they had been brilliant and their support was so good that they were up there and Villa were below them,” said Di Canio, in the post-match press conference, when asked about his mime act to the crowd after the final whistle. Below is a video of after the final whistle and the full incident. The Di Canio action starts at the 1.50 minute mark.